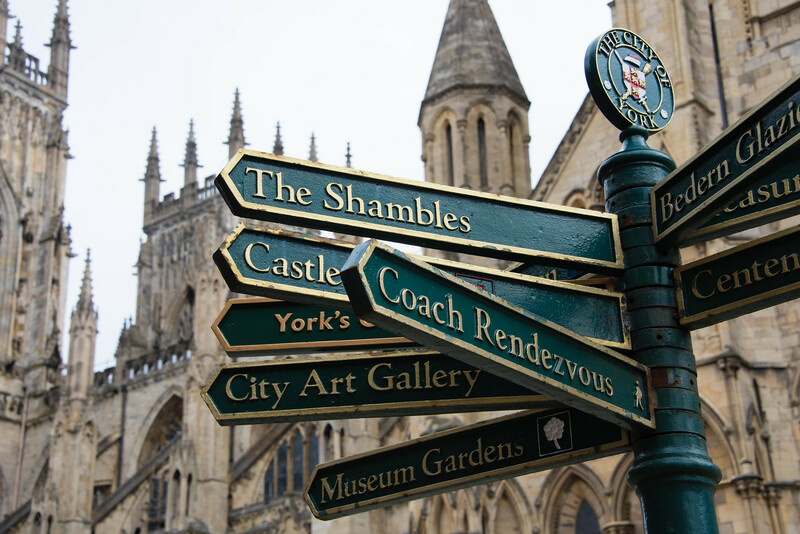 York is the perfect destination for a festive weekender! Every year I try and book a little UK break for a spot of shopping, Christmas markets, mulled wine and general festivities. Last year Charlie and I headed to Edinburgh, and this year I’m taking my mum to York for a girls weekend. I’ve been to York only once before, and it was during the awful floods in 2016. Due to this, a lot of the city and attractions were unfortunately closed off. Despite this, we still had an amazing time in this beautiful city and I’ve been dying to go back ever since! I’ve kindly been invited back to York by the Visit York team and I’ve been carefully planning our itinerary. There is SO much to see and do in wonderful York, I’ve turned into Monica with my planning and spreadsheets. Ok, I haven’t really made any spreadsheets…yet. I was so looking forward to visiting here on my first trip to York but unfortunately it was shut. This is first on my list of to-do’s and I’m looking forward to learning more about York’s history and the viking period. It’s one of the most visited attractions in the UK and is raved about so I have a good feeling about this one! Offering undoubtedly one of the best views of the city, York Minster is an absolute must-do when visiting York. A truly magnificent cathedral, since the 7th century the Minster has been at the centre of Christianity in the North of England. It really is breathtaking, although, I’ll remember to bring a bottle of water with me for the tower tour this time. That was thirsty work. York is also home to the highly rated National Railway Museum, entry is free and you can celebrate the past, present and future of innovation on the railways! It’s voted number 1 out of 166 things to do in York on TripAdvisor (with tonnes of fab reviews) which suggests to me it’s well worth a visit whether you’re into trains or not. My favourite area of the city is definitelythe Shambles and I can’t wait to head back at Christmas time for all the festive feels. 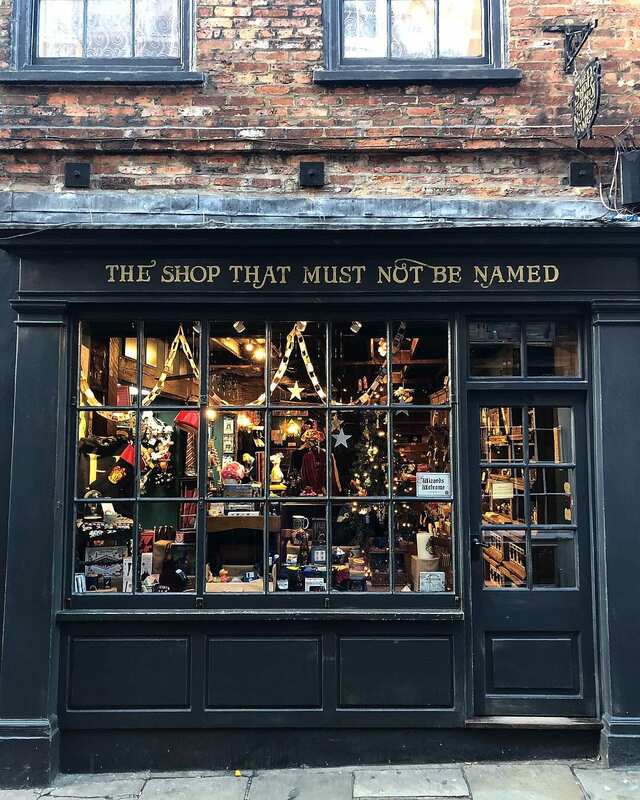 Dating back to medieval times, this street of well preserved shops feels like stepping back in time or into a set from Harry Potter. It’s truly magical and a lovely area to explore. 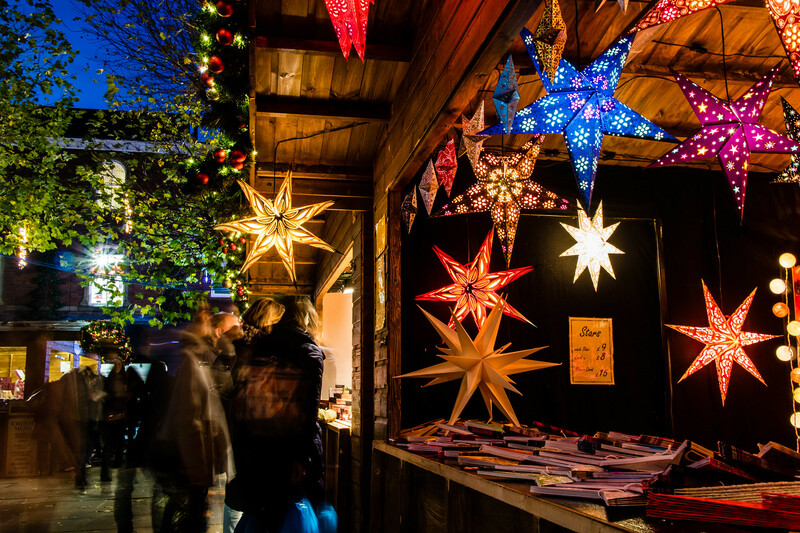 We’ll definitely be stopping by York’s popular festive market to soak up all the cosy Christmas vibes. The alpine chalets on Parliament street offer a collection of traditional gifts, and I might even try and persuade my mum to visit the fun fair! Not convinced I’ll get her on the helter skelter though. As you can see York is the perfect designation for a weekend break and I can’t wait for our Christmas weekend in York! Stay tuned for my second instalment where I’ll be sharing everything we got up to during our time in this gorgeous city. Follow me on Instagram for live updates and don’t forget to check out Visit York to find out what’s on during Christmas.